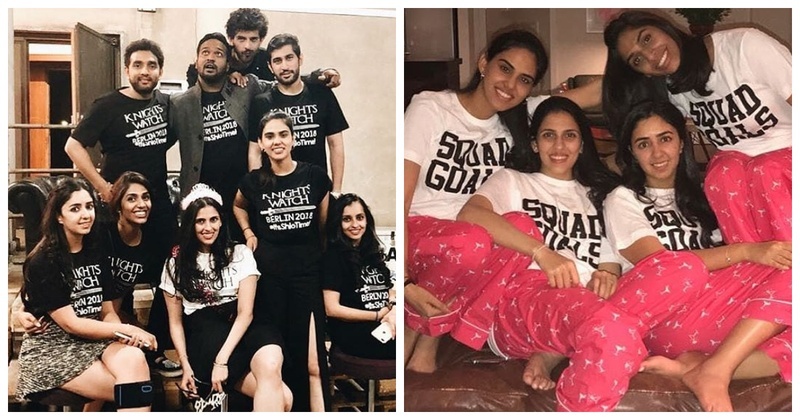 To-be Ambani bahu, Shloka Mehta's bachelorette party pictures are too cute to miss! If you are not living under a rock, you would know who Shloka Mehta is. Yes yes, the eldest bahu-to-be of Ambai khandaan! Just while we were recovering from Shloka and Akash Ambani’s engagement party, the pre-engagement sangeet and the official grand engagement bash, Shloka is breaking the internet again. Shloka Mehta A.K.A Ambani-to-be is spotted in Berlin enjoying her bachelorette bash. In love with those martini glasses print on the PJ’s! Seems quite an adventurous bachelorette trip. For all you brides looking for bachelorette trip ideas, here’s one to opt for. It’s definitely an amazing way to spend some quality time with your squad!